The good weather continues; cold nights and bright days, just what winter should be but all too rarely is. It is weather where you want to wrap up warm and spend time outside. 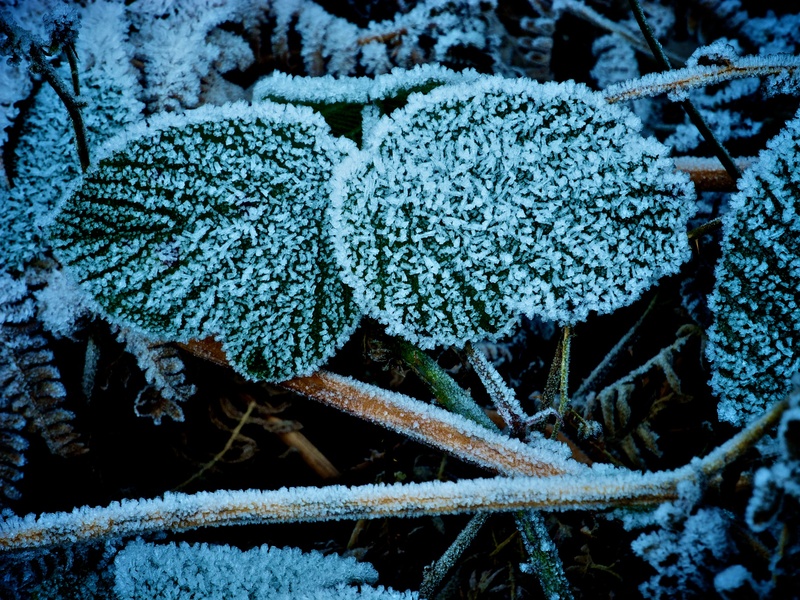 Walking today, where the direct sunlight did not penetrate everything remained decorated with frost. 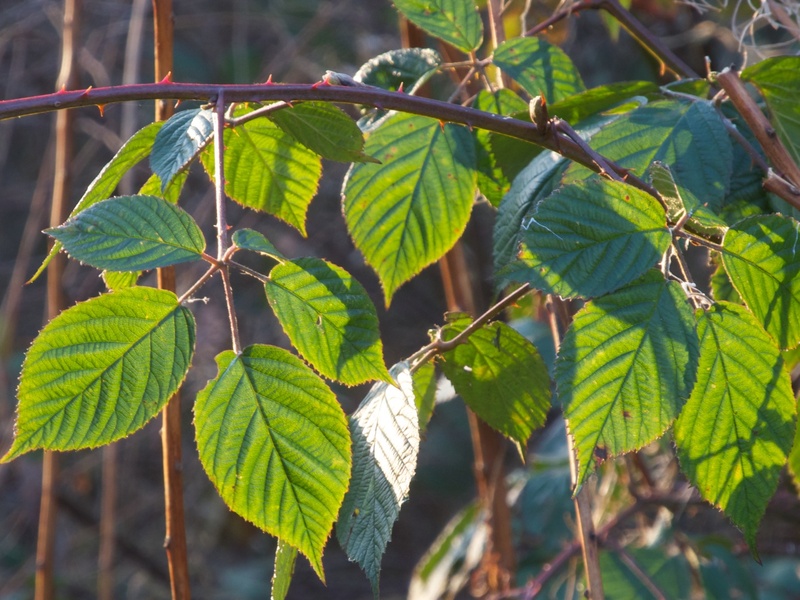 But as soon as the sunlight reached a twig or branch the frost disappeared and everything was bathed in the warm, orange light of strong, low sun. 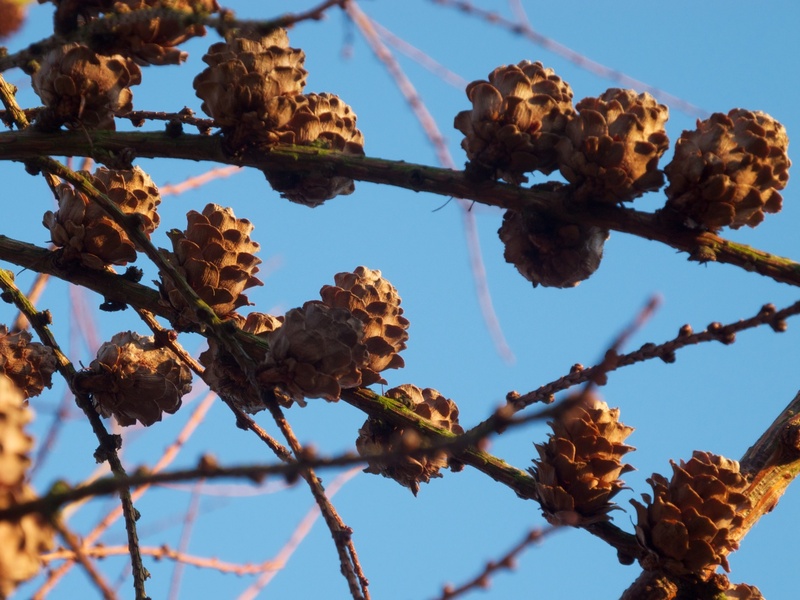 The leaves below were translucent under the gaze of the sun, and pine cones glowed under a bright blue sky..
Posted in England, Photography and tagged frost, leaves, photography, pine cones, winter. Bookmark the permalink.